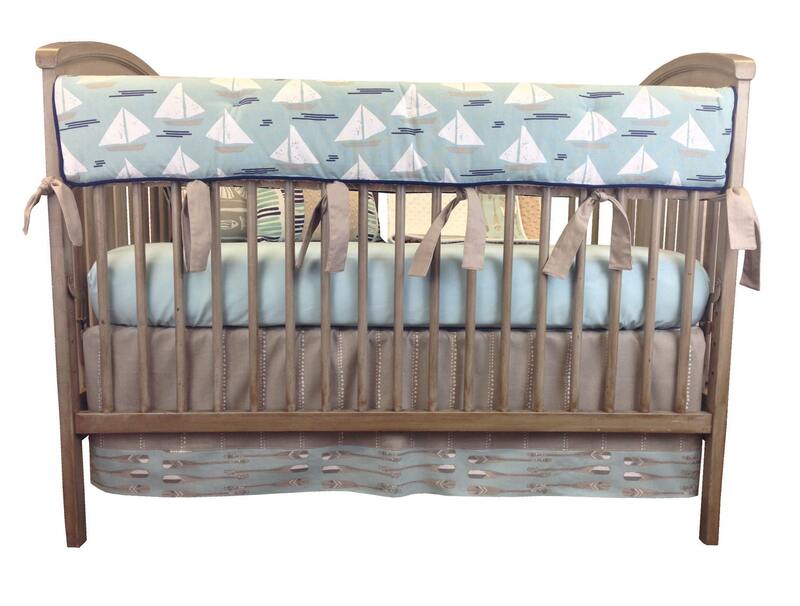 Reversible Front Rail Guard is Sailboat Cotton Print with Navy Cotton Cording and Latte Pique Ties. The Reverse Side is Latte Minky. Skirt is Latte Cotton Pique Bordered In Orr Cotton Print. 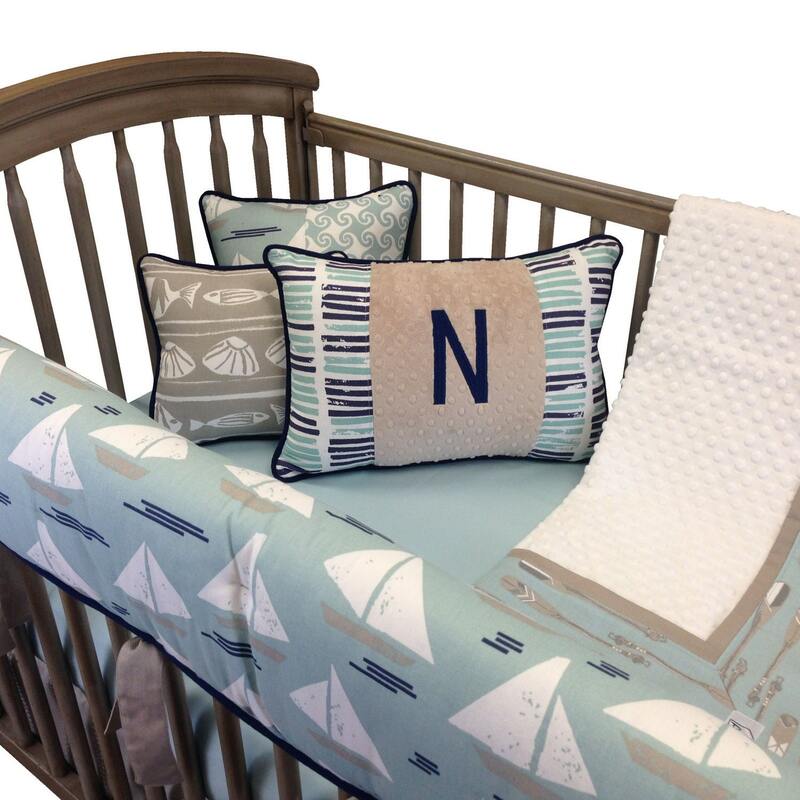 Detailed Crib Blanket is Off White Minky Center Bordered in Orr Cotton Print with Latte Pique Accent. Corded in Navy Cotton.